First up is the main lap sized version. This one uses Kona Pickle and Kona white. Both of these used bold fabrics from the Eclipse collection by Cotton and Steel. Last but not least, the mini version. This is a great mini or cushion make and only requires a fat quarter of main fabric and a fat quarter of background fabric. Love it in this liberty fabric!! 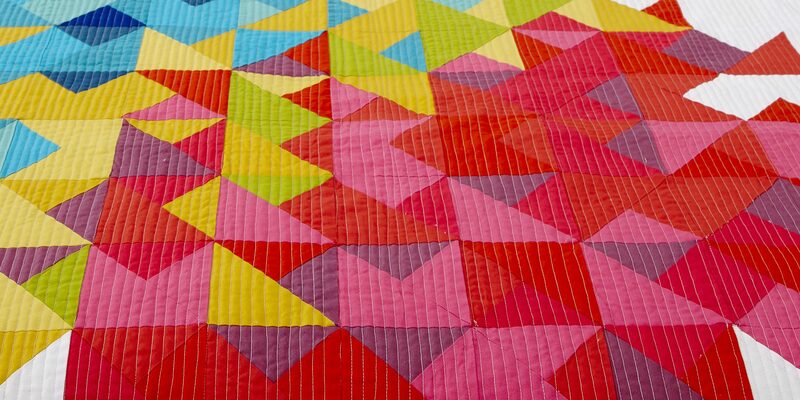 If you are still here, thanks for letting me show you all my grid quilts (well most are still tops) and if you do make one and you are on social media, use the hashtag #gridquiltpattern so i get to see it!